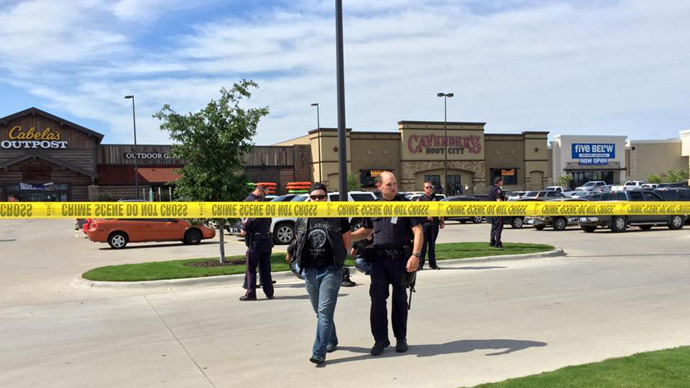 ​As mainstream media has rushed to cover the Waco biker shootout, many have expressed anger at the way the tragedy was handled. Social media was abuzz with claims that there is a double standard in reporting and policing when the bad guys are white. The actions and vocabulary of journalists and law enforcement have come under intense scrutiny in the Twittersphere, with many comparing the coverage of the Waco shootout with that of the Baltimore and Ferguson protests. The term “riot” has become commonplace in the media, particularly due to its heavy coverage of the protests surrounding the deaths of Michael Brown, Eric Garner, and Freddie Gray. But what happens when a group of white bikers partake in a deadly shootout in a shopping center? Is it also a riot? Salon's Jenny Kutner was quick to point out that The New York Times opted for words like “chaos” and “confrontation,” while CNN used “brawl” and “brouhaha.” Others repeatedly used the word “incident” to describe the tragedy. The bikers “did not 'riot,' as far as much of the media is concerned. 'Riots' are reserved for communities of color in protest, whether they organize violently or not...” Kutner wrote. However, mainstream media doesn't seem to be reporting on “white-on-white” crime, despite the fact that most of the bikers involved were white. Activist Shaun King echoed that sentiment, saying he would “wait (and wait and wait and wait)” to hear the media refer to the shootout as “white-on-white” violence. Riot police in Ferguson and Baltimore stood guard at the scene, ready to fire if needed. It was very different to that of Waco, where officers casually stood with their backs turned away from those being arrested. The photo even shows one biker looking at his cellphone, while others stand around freely. The term “thug” was frequently used by the media to describe those taking part in the Ferguson and Baltimore protests, leading many to question why the word wasn't being used in reference to the bikers. One Twitter user directly asked Fox News why it wasn't using the word.
.@FoxNews Why aren't you guys calling the Waco bike gang members "thugs?" Although the shootout was described by Waco Police Sergeant W. Patrick Swanton as the "worst" and "most violent" crime scene he had seen in 34 years of law enforcement, it seems the actions of officers and the media don't quite carry the same severity as they did in Baltimore and Ferguson - and social media appears to have drilled that point home.